Ahen, Pekin Police Department’s K-9 dog, poses with an oversized check representing the prize money the Pekin Police Department has won in a national contest. The Heart of Illinois Beekeepers Association will introduce the world of beekeeping to potential beekeepers with a class on Jan. 26, that will focus on getting new beekeepers ready for the spring. The class will be held from 9 a.m. to 4 p.m. at United Presbyterian Church Fellowship Hall, 2400 W. Northmoor Road, Peoria. Its purpose will be to give the person thinking about taking up the hobby the confidence and necessary knowledge to begin their beekeeping journey in the spring. Aspiring beekeepers will have an opportunity to learn from association members, videos, written material and hands-on demonstrations. Class topics will include honey bee biology, basics of the hive, inspecting and managing hives, and common beekeeping challenges. Students will also receive instruction on how to purchase equipment and bees. A big benefit of beekeeping is the honey, which beekeepers can either sell or keep. Common challenges beginning beekeepers can expect to face will be sudden changes in weather, especially during the winter, and pests like the hive beetle. Association members will be available to share their experience on how to combat those challenges. Cost to attend will be $50 for non–members and $30 for members. The fee includes lunch. Additional guests 12 years of age or older are welcome. An additional fee of $10 will be charged for each additional guest to cover the cost of lunch and class material. In the event of inclement weather, the alternative snow date for the class will be Feb. 9. For more information, go to hoibees.org/beginningbeekeepers. OSF Saint Francis Medical Center is now the only heart transplant option in central and downstate Illinois. After more than a decade, the hospital will again offer heart transplants at its newly named OSF HealthCare Cardiovascular Institute. Hospital officials say that the cardiovascular center will provide one of the most comprehensive cardiovascular programs in the state, embracing advanced techniques and technologies. The Illinois Health Facilities & Services Review Board has approved OSF HealthCare’s certificate of need application to re-establish the program. The approval means St. Francis can offer both transplants and ventricular assist device procedures (VAD). While the full implementation of the heart transplant program could take up to 18 months, the first VAD procedure will likely take place this summer. Heart disease is the leading cause of death in the United States, and it is estimated heart diseases are prevalent in more than one in three adults 18 or older, roughly 94.6 million adults. The number of heart failure patients is expected to rise 46 percent by 2030. Area hospitals have enacted voluntary visitor restrictions as seasonal influenza activity increases in Central Illinois. Visitor restrictions went into effect on Monday at Hopedale Hospital in Hopedale; OSF HealthCare Saint Francis Medical Center in Peoria; Kindred Hospital in Peoria; and UnityPoint Health’s Methodist and Proctor campuses in Peoria and its Pekin campus. The restrictions are designed to protect patients, visitors and staff. New Tazewell County Health Department and Peoria City/County Health Department data has found that 48 people have tested positive for flu at the Hopedale, Pekin and Peoria hospitals. The Hopedale, Peoria and Pekin hospitals are requesting that hospital visitors be at least 18 years old to minimize patient exposure to children, who are known to be at high risk for transmission of viral illnesses, and to protect children from getting sick. Individuals who are not feeling well or have had flu-like symptoms in the previous week should not visit hospitalized patients, according to the restrictions. St. Joseph School of Pekin is hosting its third annual Taste of Pekin fundraiser from 5:30-9 p.m. Jan. 26 at the school, 300 S. Sixth St., Pekin. Pekin area restaurants will sell some of their most popular menu items, along with beer, wine and soft drinks. There will be musical entertainment, games, dancing and raffle drawings. All of the classrooms will be open for the public to visit and learn more about the school; each classroom will have a drawing for a gift certificate from a local restaurant. Restaurants planning to serve food at the event include LaGondola, Sangalli’s Italian Steakhouse, Jimbo’s Jumbo, Kouri’s Grill and Bar, West Dublin Pub, Mashie’s Pub & Eatery, Corr’s Costume Cakes, Two P’s Pizza and Mike’s Knot Just Ribs. Admission to this family event is free. Food and beverage items will be available for purchase. For more information or to purchase food and drink tickets in advance, call 309- 347-7194. The Pekin Police Department recently received a K-9 grant from crime scene cleanup and biohazard remediation company Aftermath Services. 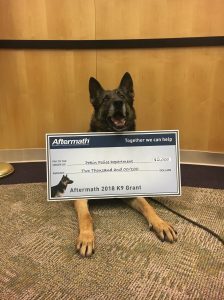 Aftermath Services, based in Aurora, distributed $20,000 in grants this year to 14 police departments nationwide to showcase, support and reward the contributions made by law enforcement and their K-9 units. 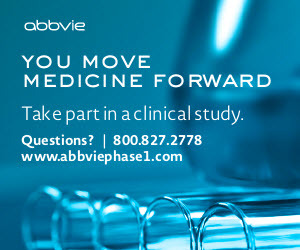 Grant winners are determined by online votes. In the 2018 contest, the Pekin Police Department garnered the fourth-most votes of any law enforcement agency in the country, and received $2,000. This marks the third consecutive year that the department has placed in the national competition. It won first place las year. The grant will support the department’s K-9 program and will be used to increase funding to find illegal drugs or people who have run from the police and are hiding. The first-place winner is the Larksville Borough (Pennsylvania) Police Department, which received a $5,000 award. The Tucson (Ariz.) Police Department won a second-place prize of $4,000, and the Clinton (Conn.) Police Department placed third and earned a $3,000 grant.